This post was sponsored by DairyPure but all opinions are 100% my own. When I first started putting this recipe together, it was going to be just a milkshake. Which technically, it still is. But when I was in New York in October, I had a chance to visit the delicious Serendipity and try one of their frozen hot chocolates. 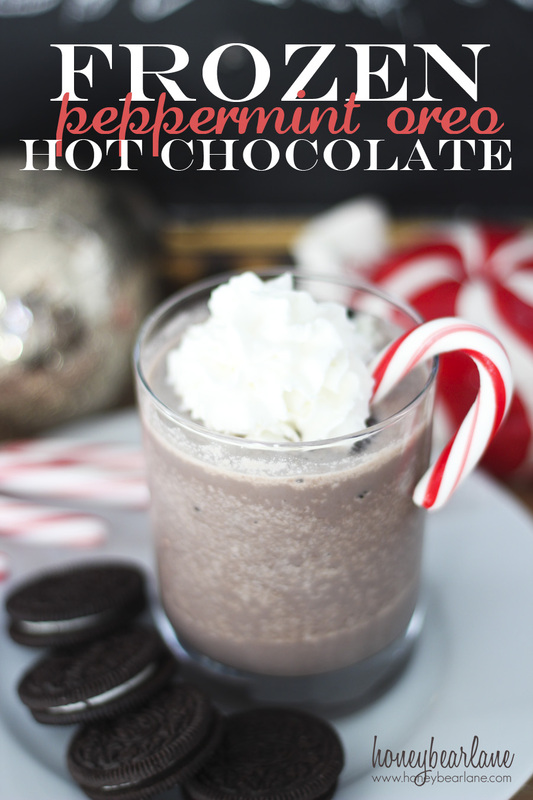 And this recipe reminded me so much of it that I renamed it frozen hot chocolate! 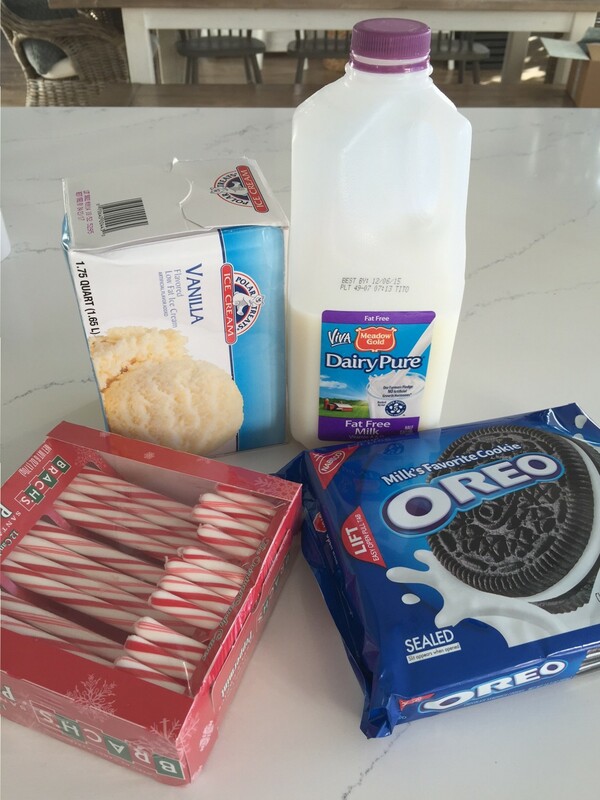 But I have some yummy peppermint and Oreo added in so there you go. And it seriously is a delicious Christmas treat! 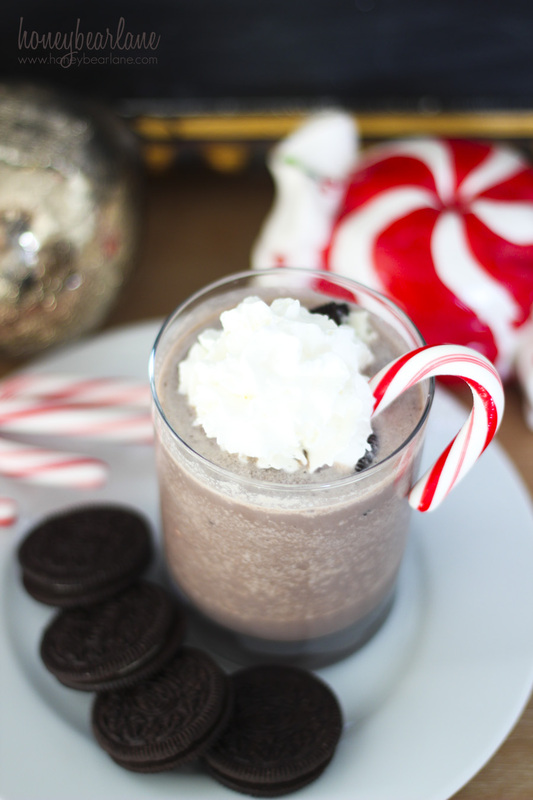 For this recipe, I used vanilla ice cream, Oreos, and candy canes of course. But I also added my favorite kind of milk–DairyPure milk. I love that it’s free of any kind of additives. Actually DairyPure milk has a Five-Point Purity Promise which states that 1) all their milk will be free of artificial growth hormones, 2) tested for antibiotics and 3) continually tested to ensure purity, 4) only comes from cows fed a healthy diet, and 5) is cold shipped fresh from local dairies. As a busy mom, it’s hard to always make sure everything we feed our families is super awesomely healthy, but it’s easy to just make this choice at the grocery store and know that at least the milk we drink is pure. 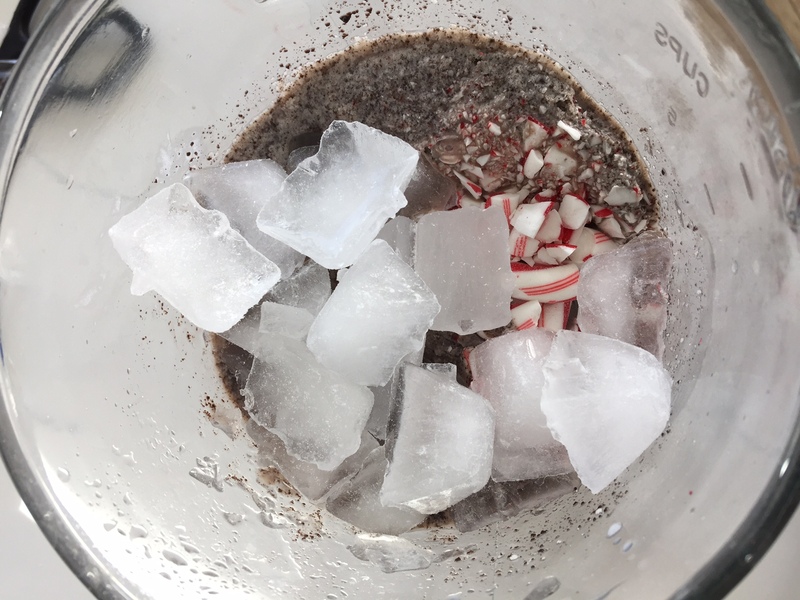 Want to get started making your own frozen peppermint Oreo hot chocolate? It’s easy! First I took about 2 cups of vanilla ice cream and a cup of DairyPure milk and put them in a blender with about eight Oreos and blended it up really well. Then I broke up some candy canes and smashed them a bit more in a baggie using a meat mallet. I added it to the blender along with about a cup of ice cubes and blended it on “Ice Crush” (the setting on my blender) until it was smooth. The Oreos by this time were finely distributed throughout and it became a solid brown chocolate color. 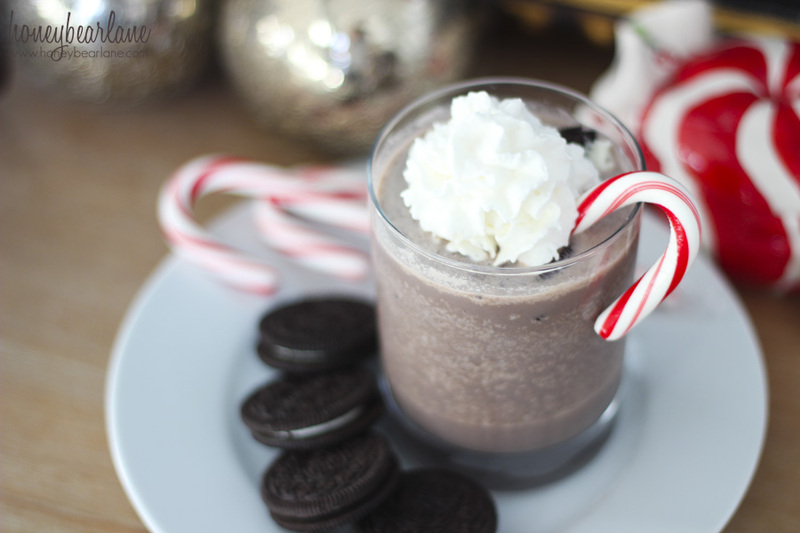 To serve, I poured the frozen hot chocolate into glasses and broke a few Oreos and candy canes inside them for some texture and extra yummy bites. Then top with some spray whipped cream and serve immediately! This separates kind of quickly and the spray whipped cream doesn’t hold for very long so it really has to be served right away. If you want to make it again, you could make the entire frozen hot chocolate mixture and pour it into a tupperware and freeze it. When you’re ready to serve it, just take it out of the freezer about an hour before and then reblend it up again.